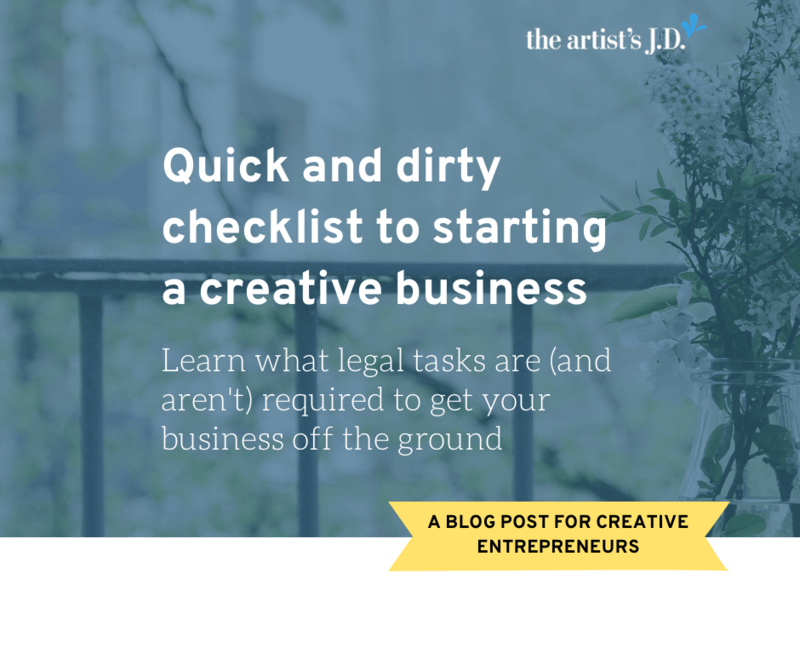 I’m going to tell you a little secret: starting a creative business doesn’t require any legal paperwork. In fact, by going out and offering your products or services, you automatically are a business. In legalese, this kind of business is called a sole proprietorship. And you become one as soon as you start—no paperwork needed. 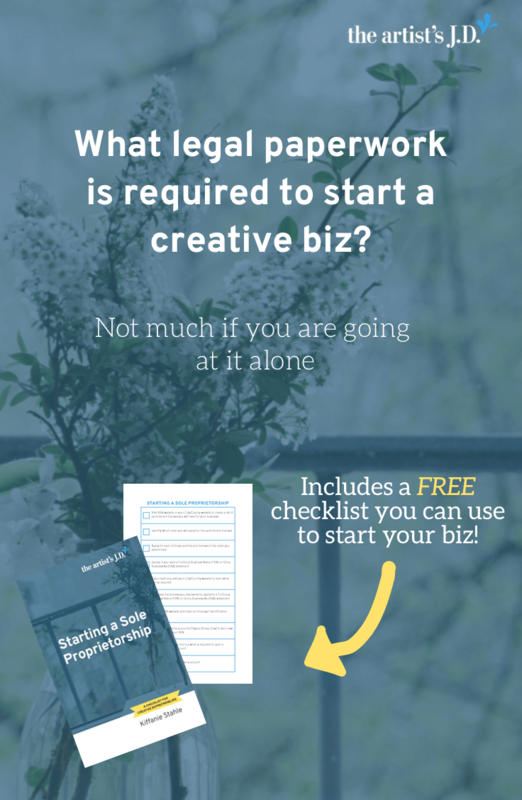 If you are running a business with one or more friends, the legalese name is a partnership. And no paperwork is required here either. You don’t have to file any paperwork, you don’t have to tell anyone. 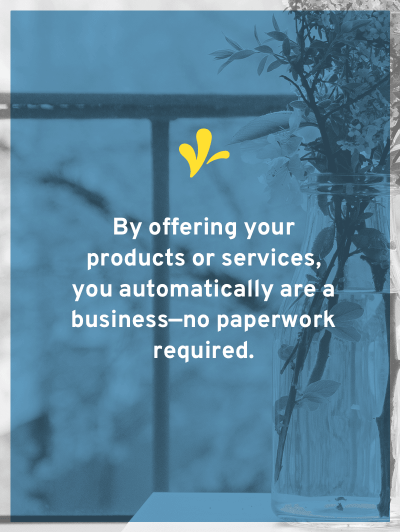 But even though you aren’t required to do any paperwork, that doesn’t mean that you shouldn’t do any. 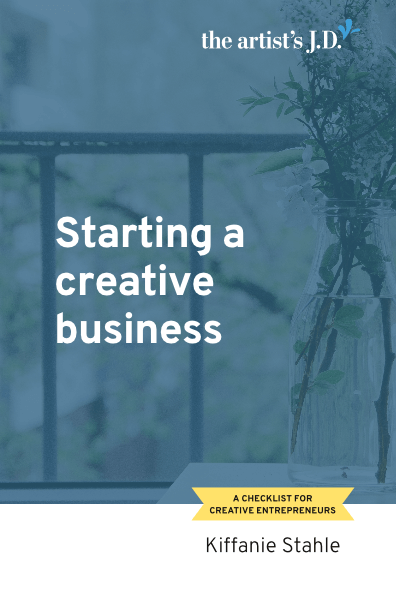 Ready to start your creative business? Learn exactly what it takes to go legit. 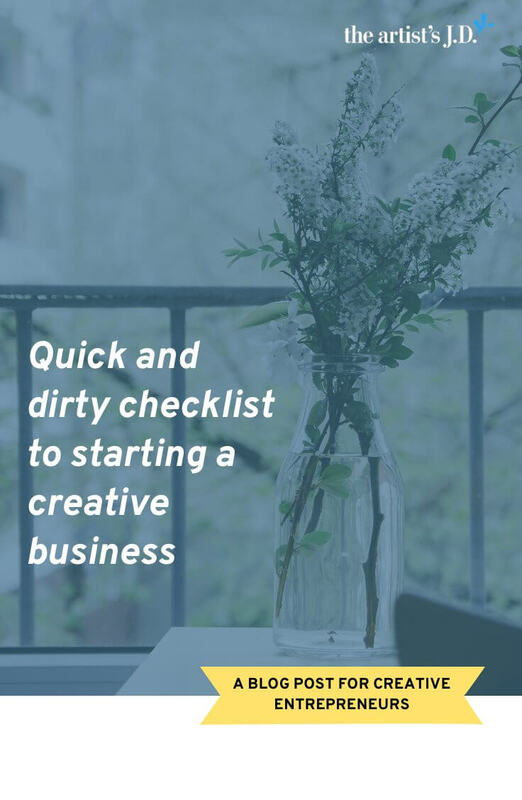 Enter your information and get a checklist that walks you through getting your creative business started on the up and up. You’ll likely be required to have various permits and licenses. And these permits and licenses are required even if you do business solely online. Most of these licenses are required for the privilege of being a business. But you don’t get an out, just because you operate your business via your computer and your website. You are running a business out of your home/studio and it is located within a city or county. And your city/county will likely require you to get a business license because of that. This means what permits and licenses you’ll need to get vary drastically from place to place. And from business to business. How do you get your permits and licenses? Because things vary so much, there’s not a one-stop shop I can send you to. Instead, you’ll have to do a little research. Once you find out what permits and licenses you’ll need to get, then it’s time to apply. Once again, in small business-friendly places, it will be easier to apply. So where you live will make a big difference in how you apply. Some places allow you to apply online. Others you can mail in a form. (These are my favorite because I can do them in soft pants on my couch!) But some you’ll have to put on real pants and head down to City Hall to make it happen. How much will your permits and licenses cost? Sadly, I don’t have a good answer here as well. But these costs are usually minimal and shouldn’t break the bank. What if you’ve been in business for a while, will you get in trouble because you didn’t have permits/licenses? In my experience, your local government wants to know that you are doing business. And they want you to fill out the forms and pay your fees. They are interchangeable and called one or the other depending on where you live. These are required when not obvious from a business name who the business owners are. So they exist so that the public can easily learn who is legally responsible for a business. When you understand why they exist, it’s easy to guess when you need one. Note: You also need one if the name the public associates with your business is not the same as your LLC or corporation name. But if you aren’t an LLC or corporation, this wouldn’t apply. How do you get a FBN/DBA statement? Often you apply for your FBN/DBA in the same place as you apply for your business license. When you apply for your FBN/DBA, you’ll likely be given a list of newspapers that run legal notices. 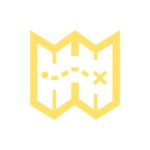 You’ll also likely be given instructions on how to run your legal notices. Once you run your legal notices, you’ll likely have to tell them. Often the newspaper provides you with a form that you submit back to the government. Newspapers are familiar with running these notices and are usually helpful. But they often have very different rates for publishing them. So it’s worth your time to call a couple to find the paper that does it for the lowest cost. Once you have your FBN/DBA, you’ll have to renew it every few years. You don’t need employees to get an employer identification number (EIN) from the IRS. This EIN number basically replaces your Social Security Number. It is used instead of your SSN on all documents that you would normally use your SSN on. There are two reasons that I suggest getting an EIN from the IRS for your business. I’m not suggesting that your clients will steal your identity. But accidents happen. They might store their files on a cloud platform that gets hacked. Or they might have a break in and their brick and mortar shop. A W-9 form contains everything someone needs to steal your identity. So by giving them an EIN, you add a layer of protection to your personal information. Taking a few minutes to get an EIN shows that you are a business, and you treat your business like one. This isn’t some hobby or side project but how you are making your living. If you go to the IRS website and apply, you can get your EIN number instantly. All you need to do is select the option to have them provide you your EIN number by PDF. If you pick that option, you’ll get your number instantly and for free. The final item also isn’t a legal requirement but will save you lots of headaches come tax time. And that is opening a business bank account. I always suggest opening a business account is because it starts the mental mind shift. You start training your brain that your business isn’t your personal piggy bank. 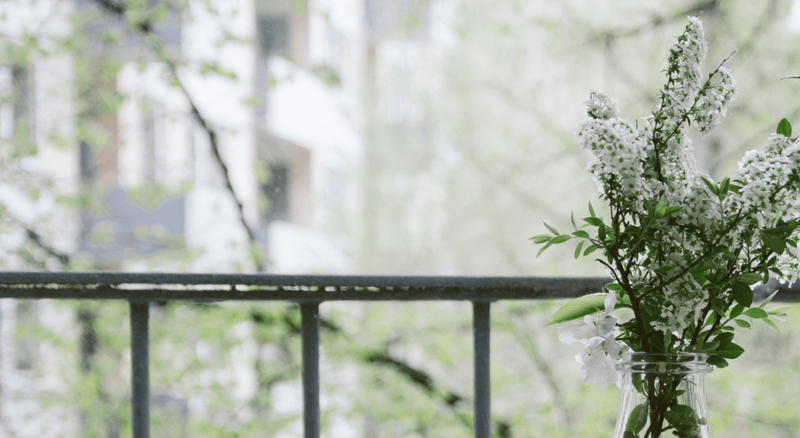 Your business is a living breathing thing that deserves a little respect and its own space. Having a separate account also helps remind you what hat you are wearing when you do something. Are these art supplies for a client project? Or a personal one? It also starts to help you understand exactly what’s coming in and going out. You’ll start to spot if your business is making (or losing) money. You’ll start to discover how much money your business earns and what it costs to run your business each month. It also will make you (and your tax preparer) super happy at tax time. Because it will reduce the headache of deciding what is and isn’t a business expense. You already know that everything that went through that account is a business expense. If you don’t have an EIN, I encourage you to spend 5 minutes right now getting one. Once you’ve done that, will you do me a favor? Let us know in the comments below that you got your EIN. So others can see how easy it was!